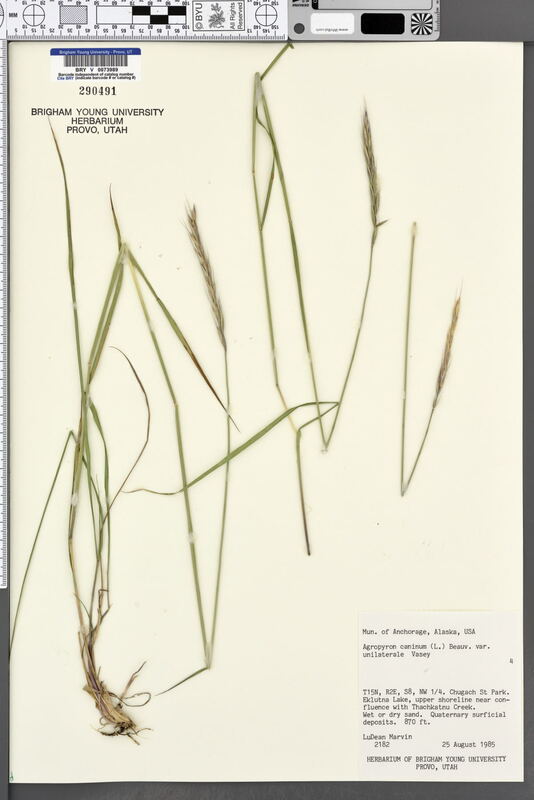 Taxon: Agropyron caninum var. unilaterale (Cassidy) C.L. Hitchc. Locality: U.S.A., Alaska, Anchorage, Chugach St Park. Eklutna Lake, upper shoreline near confluence with Thachkatnu Creek. Verbatim Coordinates: T15N R2E S8 NW1/4. Habitat: Wet or dry sand. Quaternary surficial deposits.